Schulman firm and its heirs going on 140 years. are internationally renown coin dealers. In the 1860's, Jacques collected and studied coins and medals as a youth. published in French, subsequently publishing fixed price lists of coins, and auction catalogs for over 60 years. and Latin, we find Jacques Schulman publishing in French, the diplomatic language. Genootschap voor Munt- en Penningkunde, La Société Royale de Numismatique de Belgique and also the Société Suisse de Numismatique. Julia (1875-), André (1877-1936), Maurits (1876-1943), Bertha Sara (1879-), Jacob "Jacques" II (1880-), and Helena (1881-). were donated to the ANS library in 1987. His February 1901 catalogue of money and medals, and money of necessity or emergency consisted of 1,005 lots with 2 plates. van Raalte had a son Hans Morits Friedrich Schulman (May 13, 1913- March 8, 1990), and André (1877-1936), and his son Jacques III (April 6,1906-April 9,1991). Fig. 4. 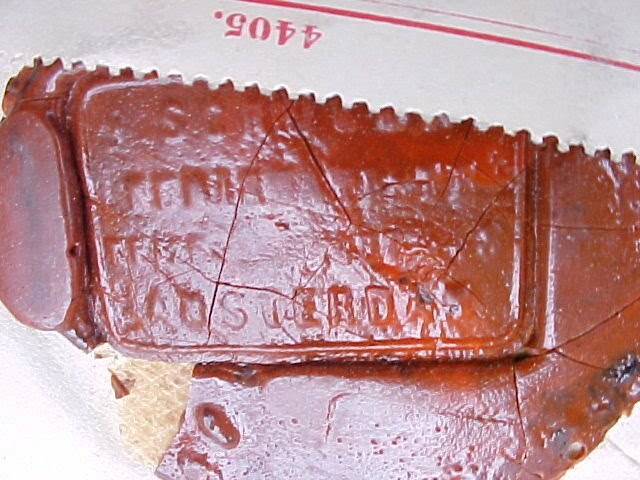 4-line rectangular cartouche wax seal on back J. SCHULMAN NUMISMATE ------ AMSTERDAM. SOLD (2017) $465 USD. The new Dutch owners can double their money. Jacques Schulman died on February 28, 1914, four days after the Henry Grogan of London, sale of Colonial Coins. Fig. 5. Photograph of André Schulman circa 1925. Keizersgracht 448, Amsterdam, The Netherlands, remaining one of the most important coin houses of Europe. Fig. 6. Photograph of Maurits Schulman circa 1930. America on business involving stocks, and also numismatics, and of course, to visit his son Hans in New York. issue of The Numismatist, pages 29-34. Numismatic Library, Special Collection, The Chapman Family Correspondence Archive. For sale. and June 1, 1925, respectively. Courtesy the Lupia Numismatic Library, Special Collection, The Chapman Family Correspondence Archive. Maurits Schulman correspondence with Henry Chapman, Jr., postmarked April, 1928. 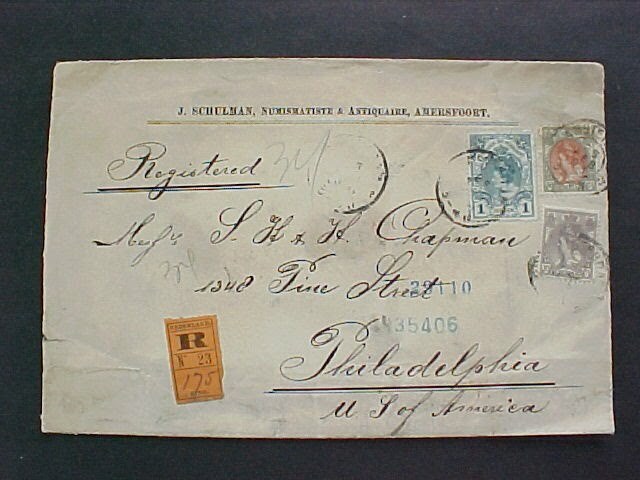 Courtesy the Lupia Numismatic Library, Special Collection, The Chapman Family Correspondence Archive. that was subsequently published in the March 1930 issue of The Numismatist, pages 133-137. On November 23, 1936, André Schulman died. Fig. 9. Photograph of Hans Schulman. Fig. Hans M. F. Schulman Catalogue No. 25, 1944. Courtesy Lupia Numismatic Library. Fig. Hans M. F. Schulman Catalogue No. 26, 1946. Courtesy Lupia Numismatic Library. Fig. Hans M. F. Schulman, Old and Curious Money of the World (1946)  Courtesy Lupia Numismatic Library. Fig. Hans M. F. Schulman Circular 1946 advertising his Coin Collector's Almanac. Courtesy Lupia Numismatic Library. Fig. Hans M. F. Schulman, Another  Circular 1946 advertising his Coin Collector's Almanac. Courtesy Lupia Numismatic Library. with Americans in the New York Stock Exchange and in the new coin shop in New York it gave the Schulmans leverage during WWII. 1966-1987. Jacques ran the firm with his wife Helena "Leny". Helena was the expert on ancient, middle eastern, Byzantine, Greek, Roman and archaeological artifacts. Fig. 11. Photograph of Jacques Schulman III, circa 1953. Fig. 12. Hans Schulman co-authored with H. W. Holzer, The Coin Collectors Almanac (New York, 1946). Courtesy Lupia Numismatic Library. During the late 1960's, Jacques Schulman III, put his two sons Robert (1938-) and Laurens (1948-) into the business. In 1987, Laurens Schulman and his wife Carla founded their own coin firm at Bussum, The Netherlands. On March 8, 1990, Hans Schulman died. On April 9, 1991, Jacques Schulman III, died three days after his 85th birthday. He is buried at Bussum, The Netherlands. The firm of Laurens Schulman is now run by his daughter Yvette. l’empereur Napoleon I. . . . don’t la vente aura lieu > . . . le 22 septembre. [1902 . . . .Amsterdam, 1902] 4 plates. Catalogue des medailles grecques, monnaies romains . . . . monnaies Byzantines et des divers etats des Indes. Quelques livres numismatiques. En vente aux prix marques. [No. 40] Amersfoort  64 p. 3 plates. à Zwolle, d'un ... Medailles artistiques.. January 1, 1911.